Does this sound familiar…. You have thumb arthritis, you hurt your thumb or are recovering from surgery. Your doctor recommended a thumb brace to keep you from moving it. You’ve followed your doctor’s orders and worn your brace every day for an entire week and your thumb still hurts! You’re probably asking yourself — how long do I need to wear my thumb brace? Don’t kid yourself. Pain doesn’t go away overnight. So, how long until you’re actually pain-free? The answer is…it depends. 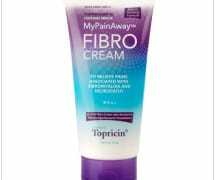 Arthritis or an injury to a muscle, ligament or bone causes pain, swelling and discomfort. You need to heal and that means you need time…and patience. 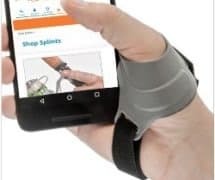 Thumb braces are a simple, cost-effective way to reduce pain, provide support, improve movement and ease the stress on your joints. Wearing a brace can help eliminate your pain, but keep in mind you might need to wear it long-term or with other treatments such as medication, topical lotions and therapy. If you have arthritis, you may need to wear it for life – when your pain flares up, during activities or at night. Most health care providers will tell you to keep your brace on for a few days to several weeks, depending on the location and the severity of your thumb problem. As healing begins and you start to feel better, you may begin working to regain normal range of motion, and strength while still wearing your brace during the day and at night. Over time as healing progresses and pain subsides, you will be able to wean out of wearing the splint and eventually discard it all together. The goal is for you to return to full use of your hand and thumb. Given how important your thumbs are to everything you do, the “no pain, no gain” way of thinking is only liable to delay your recovery and cause you more discomfort. A key ingredient for your thumb to feel better is wearing a brace that will protect it and help you get back to full function. Just give it time and chances are you will be texting and using your thumb at full speed and strength once again. 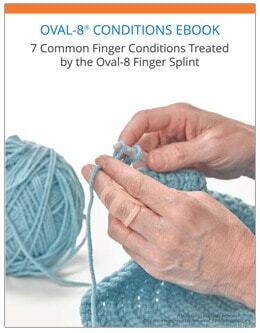 Looking for More Information on Relieving Thumb Pain?